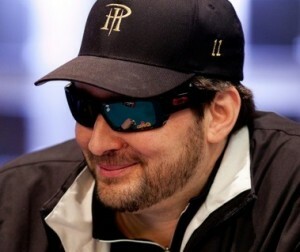 Phil Hellmuth has already accomplished more in his poker career than just about any other tournament player. He’s especially notable for having won 15 gold bracelets. However, the Poker Brat isn’t satisfied, and he’s gunning for more success in 2019. He recently tweeted about his lofty goals for the current year. “A quick sketch of my ‘Yearly Goals’ (a ‘life tip’ I teach in my book #Positivity),” he noted, before showing all of the goals written on his bathroom mirror. Can Hellmuth Win 3 Gold Bracelets? Few poker players have won three WSOP events in a single summer. Nobody has done so within the past several years. George Danzer was the last to pull off the feat, winning two bracelets in the 2014 Las Vegas series and a third in the Asia/Pacific WSOP. As if chasing three bracelets isn’t enough, he also wants to capture a couple of World Poker Tour titles. Interestingly enough, he’s always come up short in his pursuit of a single WPT win. He’s made five final tables, including a runner-up finish at the 2017 WPT Legends of Poker. He also may struggle to sell 1 million copies of his book. His autobiography, Poker Brat, has done well in sales. However, Positivity is currently outside the top 650,000 books according to Amazon sales. Regardless of whether the Poker Brat reaches his lofty goals, he should be very entertaining this year. He’s always good for table banter when the TV cameras are rolling, and he draws some mainstream attention to the game. Even adding one bracelet to his already leading 15 WSOP victories would be impressive. Just imagine if he can actually pull off the feat of three wins.